Horse racing is an excellent sport you can bet on. However, choosing the best bet is the elephant in the room. One advantage with horse racing is that there are a number of betting options available. You can choose just a simple bet all the way up to the outcome of six consecutive races. In this article, we will look at the most popular betting options you can bet on in horse racing. Show – To win this bet, your horse should finish 1st, 2nd or 3rd. Here, the chances of winning are very good. Place – This is where you bet on your horse that it will come 1st or 2nd. This bet is also a good one in terms of winning chances. Win – A win is basically a win and would require your horse to finish first. The payoff is determined by odds. 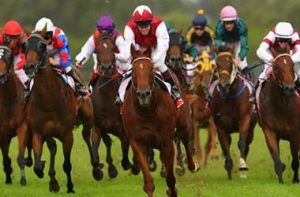 Quinella – This is a fairly played bet and requires that you pick 3 horses and in order to win, at least 2 should be the 1st and 2nd in any order. Exacta – This is quite similar to Quinella only that your horses should finish 1st and 2nd in the exact order. This is quite a hard bet but again, the payout is enticing. Trifecta – If you are a real gambler, Trifecta will be great for you. In this bet, your horses should be in position 1, 2 and 3 in the exact order. Superfecta – This is where your horses must finish 1st, 2nd, 3rd and 4th. It is very expensive and chances of winning slim. Daily Double – In this bet, your horses should win two consecutive races. Pick 3, Pick 4 & Pick 6 – Horses are supposed to win 3, 4 and 6 races consecutively. So, which one are you betting on?